I have never wanted an overpriced t-shirt so badly! This retro Gucci t-shirt with its logo written across was first seen on the Gucci Spring/Summer 2017 Resort Collection. I love the oversized style, the long sleeves and the vintage vibe about it, but can not justify paying £320! You can buy one here or here (I'm a size S). Last year it was all about graphic and band t-shirts, with logo sportswear t-shirts being popular too. 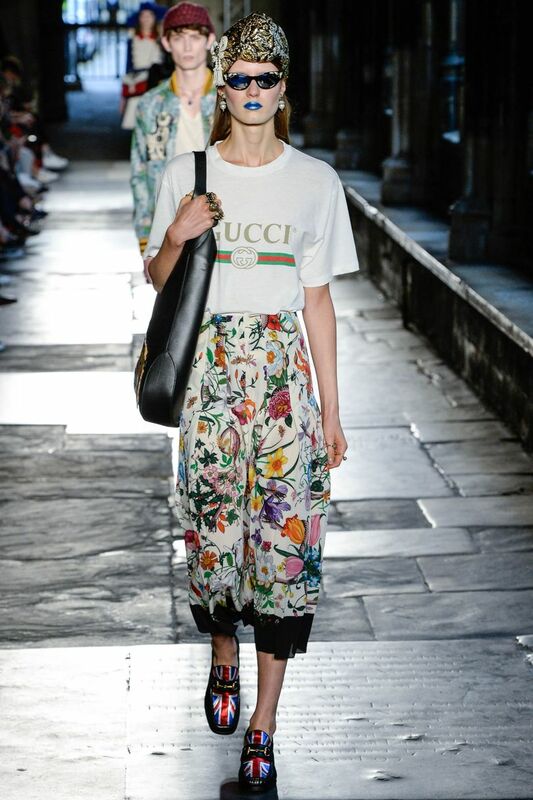 This trend sets to continue into this year but more so in the form of branded logos like the Gucci tee. 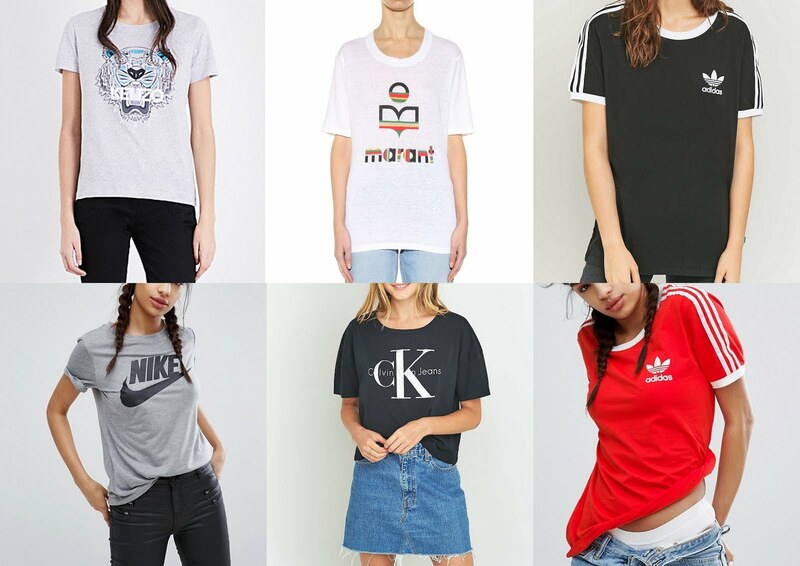 I remember the days when designer logos written across tops was a craze, it is definitely a trend that has come back. Some Street style fashion below, showing ways it could be worn (Images from Pinterest). 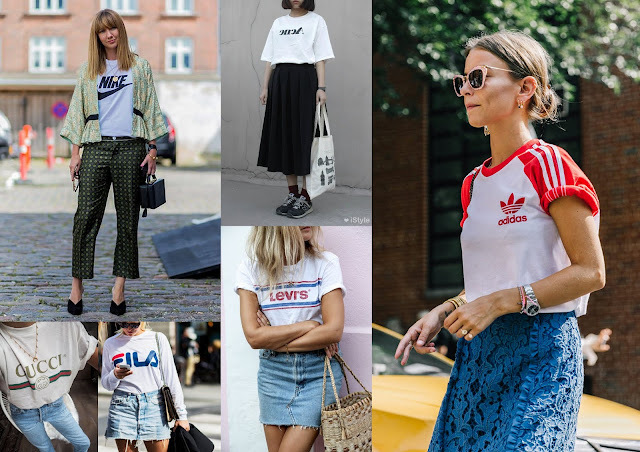 Wear your t-shirts like you did last year, click here and here for more inspiration.